The Grimes County Courthouse, situated in Anderson, Texas, is known for its historic integrity and architectural beauty. Built in 1894, many visitors have been through the courthouse doors, and not all of them have been innocent and friendly. In fact, Grimes has seen some infamous figures and trials in its day. Among those who have been convicted here include a member of Clyde Barrow’s most notorious gang. Some, however, decided they weren’t going to court without putting up a proper fight. Instead of being sentenced, one individual decided to start a gunfight just outside the courthouse at the turn of the century. The man was eventually shot dead, but only after five eventful and stressful days warring against authorities. Evidence of this crazy event can still be seen on the courthouse itself. Bullet holes riddle its otherwise beautiful exterior. 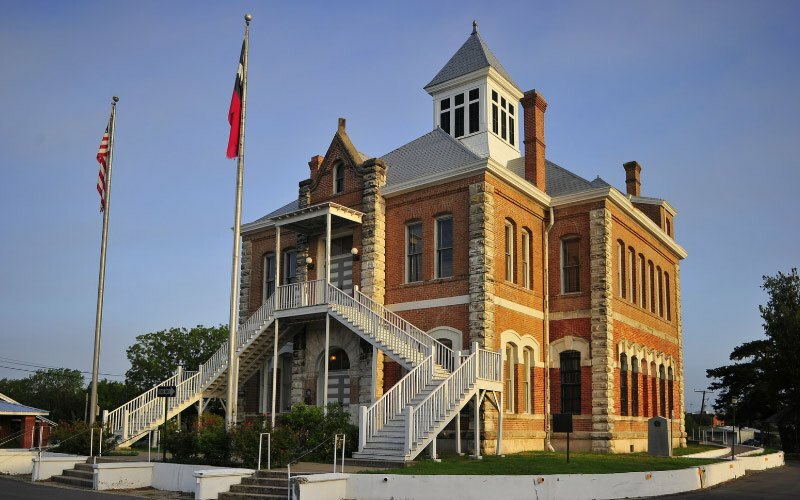 Given these historic events and people, it is small wonder that some consider the Grimes County Courthouse to be haunted by an unseen entity. A handful of employees, along with visitors, have said they sometimes hear disembodied voices emanating from rooms that are void of people. Still others report that doors have a tendency of slamming shut on their own. Many of these scenarios can be explained with simple logic: the alleged disembodied voices are mere echoes from an adjacent room. Doors slamming are the result of winds whipping into the building from open windows. But even after all of that, nobody seems able to explain why the elevator can be heard moving from floor to floor—an elevator that hasn’t been used in several decades. 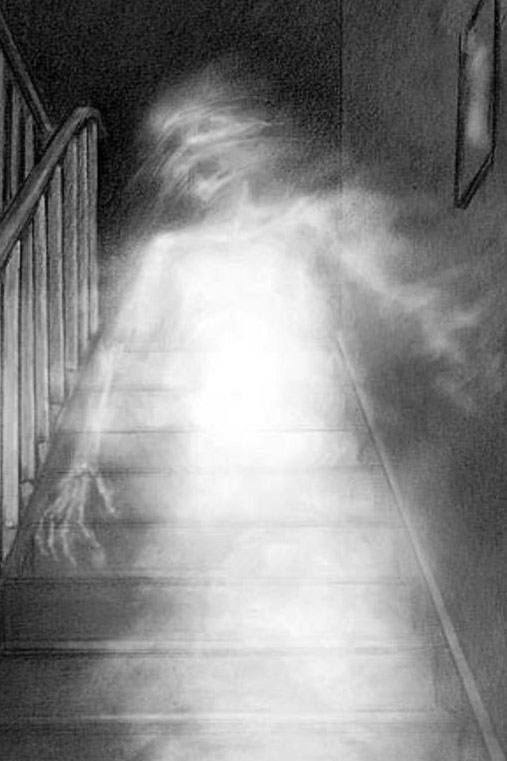 Terrified by his experiences there, one former courthouse employee states he ended his employment due to the hauntings, although he listed other reasons to his superiors and colleagues. “What I saw in that courthouse….it just cannot be unseen, you know?” he said, shaking his head at the memories. “I worked at Grimes many years ago, long before it was acceptable to discuss hauntings and paranormal activity openly in the workplace. I mean, it’s still kind of weird today, but you won’t catch as much trouble for it. I was there one morning, just going about my day, when I heard a conversation in hushed tones taking place in the courtroom. Normally I wouldn’t have found that odd, but I knew for a fact that the judge was not present, and nor was any court appointments scheduled for that day,” he said. “So I decided to open the door, and make sure that everything was alright. As I swung the large doors open, the conversation ceased. I just assumed that whoever was talking had paused to see who was causing the interruption. “But when I walked into the courthouse…. nobody! Not a soul in sight. I was quite surprised, but nevertheless I had to continue on my day like nothing happened. It’s not like after that single experience I believed Grimes was haunted, no sirree. “The next day, I walked past the elevator to hear it grinding on its old gears,” he recalled. “Now employees and regulars know to never use the elevator, it is outdated and not fit for use. But every once in a while we have a newcomer attempt to use it before being rescued by an official. “I stood in front of it, waiting to make sure the person got out safely. But when the doors opened, I didn’t see anybody there. Cautiously, I walked inside the elevator.